Carbon Dioxide or CO2 is a very efficient converter of electrical power to optical power and has been used in Lasers since 1964. CO2 lasers have been used for facial resurfacing since 1991 and is very effective in treating photo damaged skin including wrinkle reduction, acne scarring, Surgical Scars, Skin Tightening, Stretch Marks reduction, Pore Size Reduction. Generally CO2 lasers have a significant downtime of between 3-10 days for most treatments. With CO2 laser severe conditions of wrinkles, and scars can be treated very effectively, as long long as it is performed by an experienced skin doctor. The CO2 laser penetrates into the dermis. The resultant damage from the heat produced begins to be repaired through growth of new cell tissues and long term remodeling of main structural proteins of the various connective tissues. CO2 laser is typically not used as a standalone treatment on darker skin types as hyper-pigmentation and hypo-pigmentation can result. Any history of sun tanning needs to be provided to the treating doctor to ensure other issues do not develop. CO2 laser may not be a suitable treatment in areas on the body showing signs of skin diseases, pre-cancerous lesions or a number of other serious medical conditions and pregnancy. 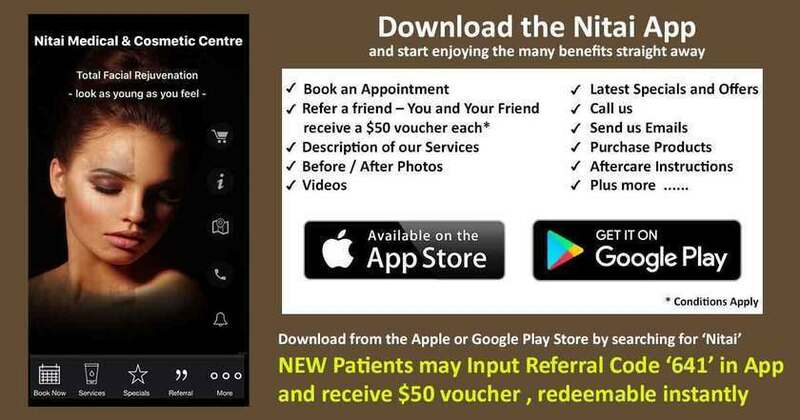 At Nitai Medical & Cosmetic Centre, an experienced doctor consults and treats patients with CO2 laser to ensure optimum results are achieved with minimal risk.